If you read last week's prompt, you'll remember that I had another idea before I saw the wonderful quote posted by Pebbles Inc on Facebook. So I changed tack and decided to just hold onto it for this week. Therefore, this time around I'd like you to be inspired by mini-letter stickers. 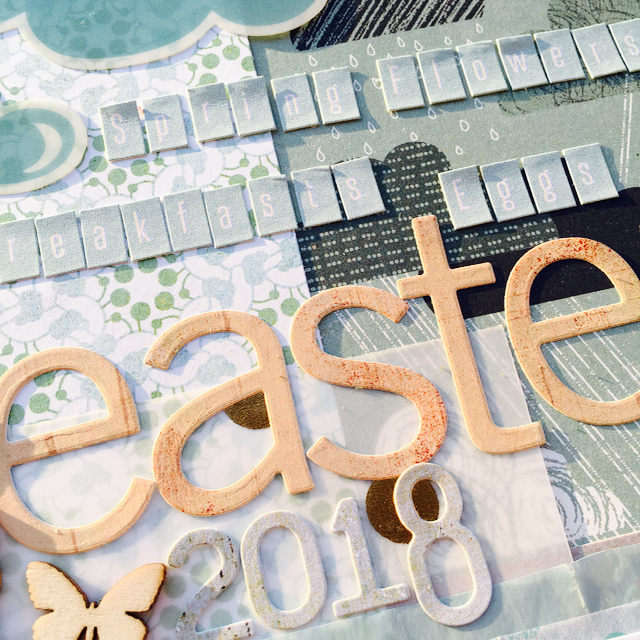 This is just a selection of the smaller letters that I have but there are some firm favourites there that find their way into almost every single kit that I make as well as on most of my layouts! Jillibean, Sassafraslass and October Afternoon are my all time favourites but any will work for me as long as they stick and are in the right colours! I'm sure you have some of these little beauties in your own supplies and if you don't already use them all that often, now might the time to fish them out and give them an airing. 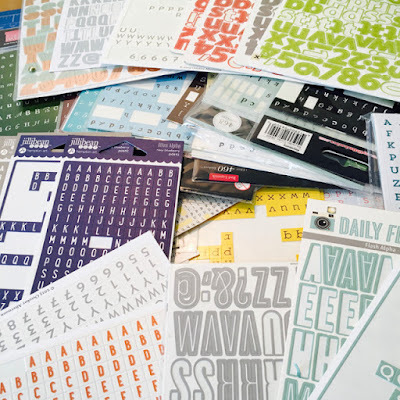 If you do use them regularly, why not try to find a new way to incorporate them on a layout. Mix them up, arrange them differently, journal with them, use them in a mixed up title. I'm sure you can think of a dozen ways of bringing them onto your layout. 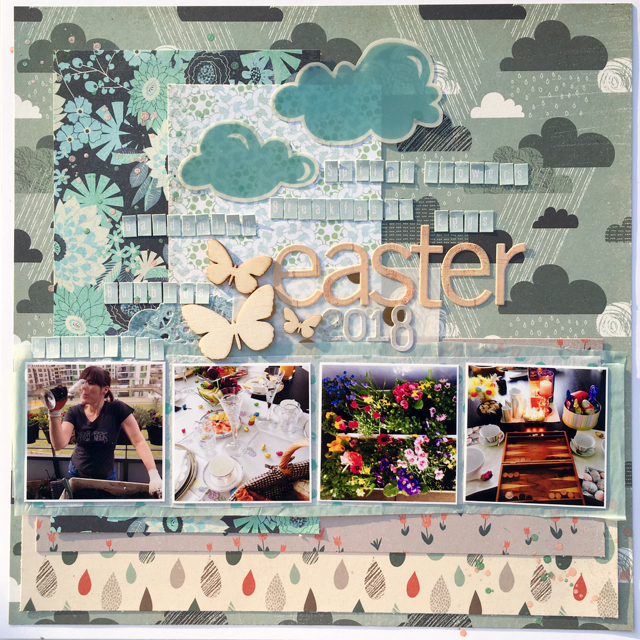 I made this layout just last week with my Counterfeit Kit Challenge April kit, Rogue for a Counterfeit challenge to be inspired by Easter. I knew that I didn't have much to say in the way of journalling so I used up a whole bunch of mini BasicGrey alphas to spell out single words of what was special about Easter 2018.